Salsa Ranch Chicken Dip Recipe - only 4 ingredients! Salsa Ranch Chicken Dip - only 4 ingredients! 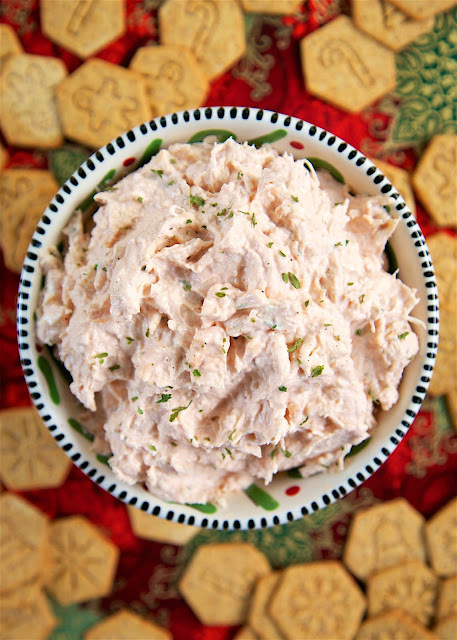 You probably have everything in your pantry right now to whip up the delicious dip! Literally takes one minute to make. We serve it with wheat thins and veggies. Great for parties! 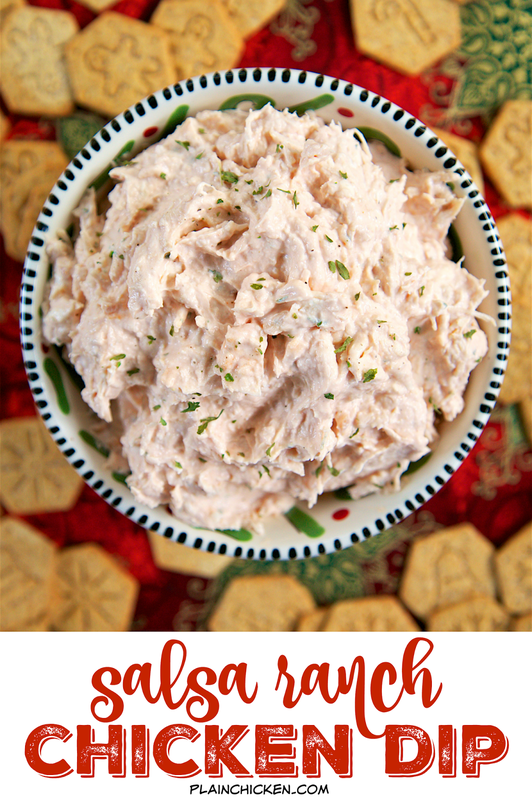 Need a last minute Christmas appetizer? 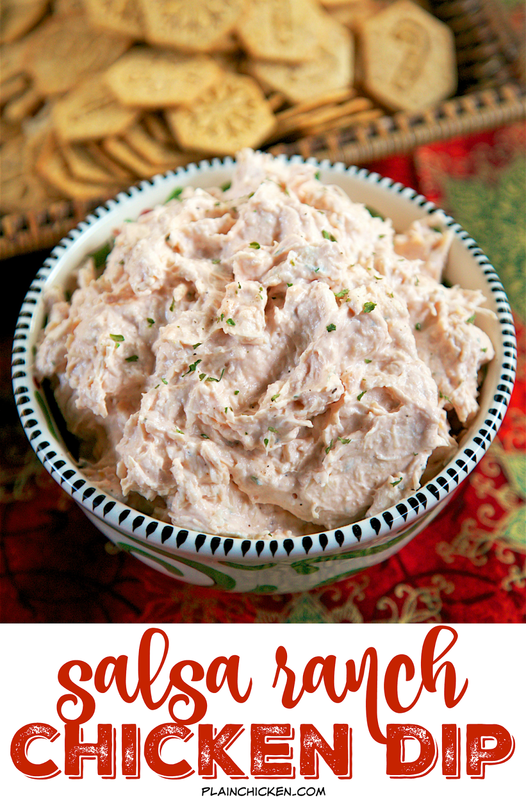 This Salsa Ranch Chicken Dip is perfect! It only has 4 ingredients and you probably have them in you pantry right now! 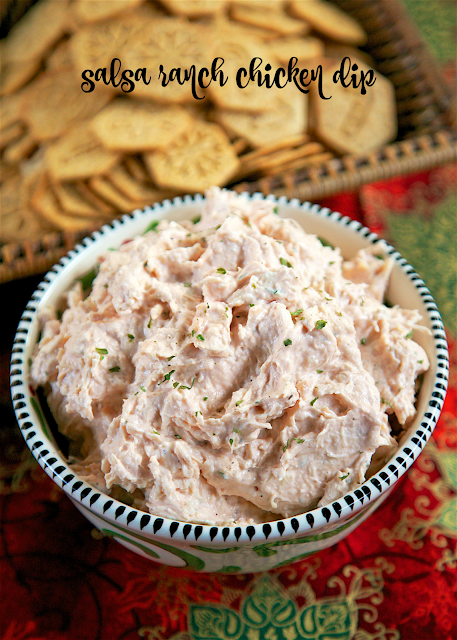 This dip literally takes one minute to whip up and it tastes great! This is great for parties and tailgating. It can be made several days in advance and refrigerated until you are ready to serve. We like to eat with some Wheat Thins and veggies. Give this a try if you need a quick, easy and delicious party snack! Where did you get those cute Christmas crackers? Looks like a quick and tasty dip. Hope you have a very Merry Christmas. I made this dip yesterday and it was very good. I used a roasted chicken from Wegman's (breast meat) instead of the canned chicken and a tad more salsa. It was hit.